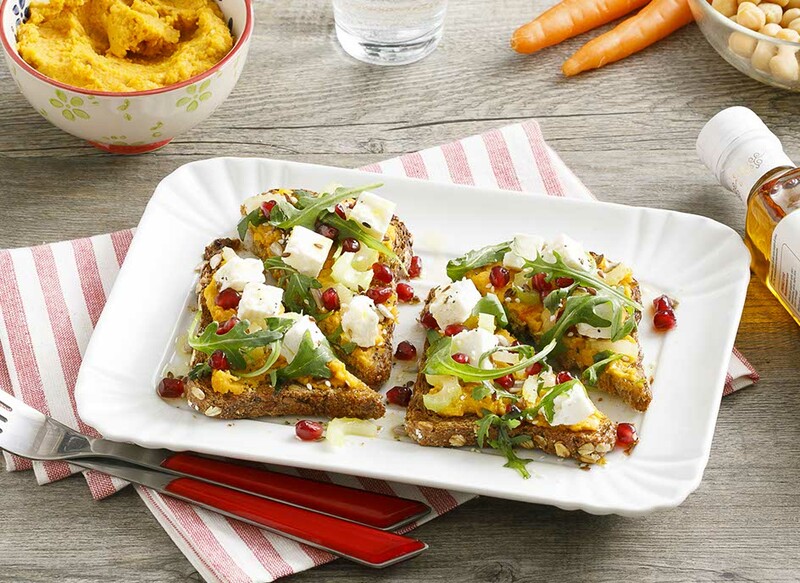 A few slices of bread, a spoonful of carrot hummus, lots of vegetables and a swirl of Zucchi chilli-flavoured EVO oil. The ideal finger-food for giving the evening a healthy, tasty, spicy flavour. Wash and peel the carrots. Slice them into rounds and transfer them to an oven dish lined with greaseproof paper. Add a crushed clove of garlic and season with salt, Zucchi sesame seed oil and cumin. Cook in a hot oven at 180°C for about 30 minutes, until soft. Remove from the oven, leave to cool a little and transfer the carrots into the jug of a blender. 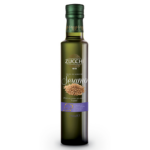 Add the cooked chickpeas, 2 spoonfuls of Zucchi sesame seed oil, the juice of half a lemon and a pinch of salt. Blend until creamy, adding a couple of spoonfuls of water if the cream is too stiff. Transfer the cream to a bowl and cover. Toast the bread in the oven for 5 minutes. In the meantime, wash and dry the vegetables and slice the celery into thin rounds. Dice the cheese. Spread the hummus on the warm bread and add cheese, celery, arugola, pomegranate and seeds. 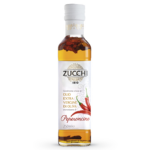 Complete with a swirl of Zucchi chilli-flavoured oil. Cut the slices of bread in half diagonally and serve.